Greek, Etruscan, & Roman Bronzes (MFA), no. 368; Sculpture in Stone and Bronze (MFA), p. 123 (additional published references). Separted from outside (01.7514b). 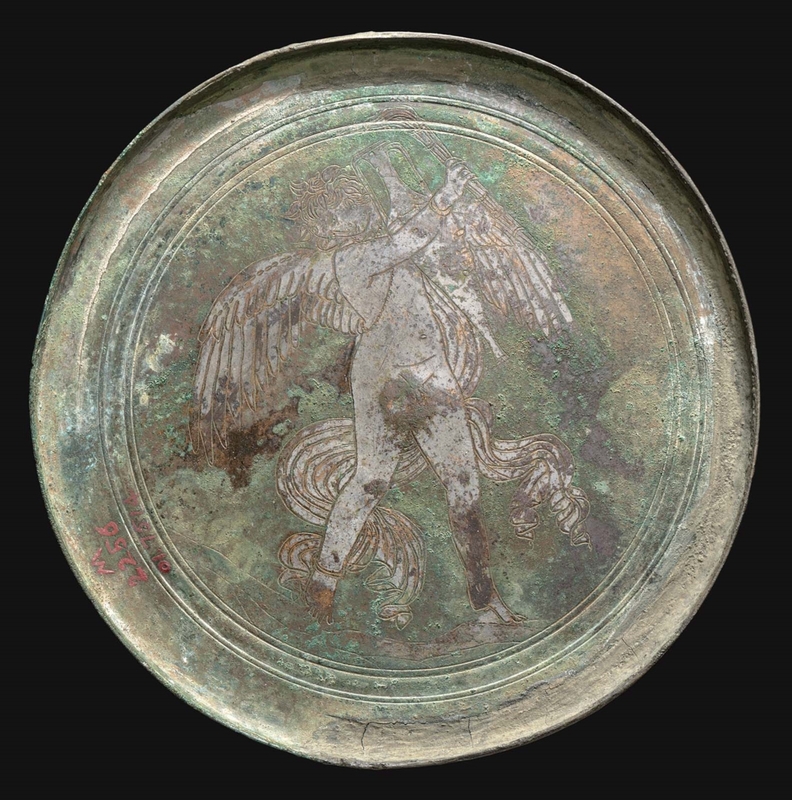 Engraved inside the cover, winged Hymenaeus wears a wreath and a long chlamys; he moves from left to right, carrying a torch and a loutrophoros. The relief on the cover lacks parts of the heads of the two figures, as well as other small portions. A piece from the edge of the case is missing. Patina in part pale green.